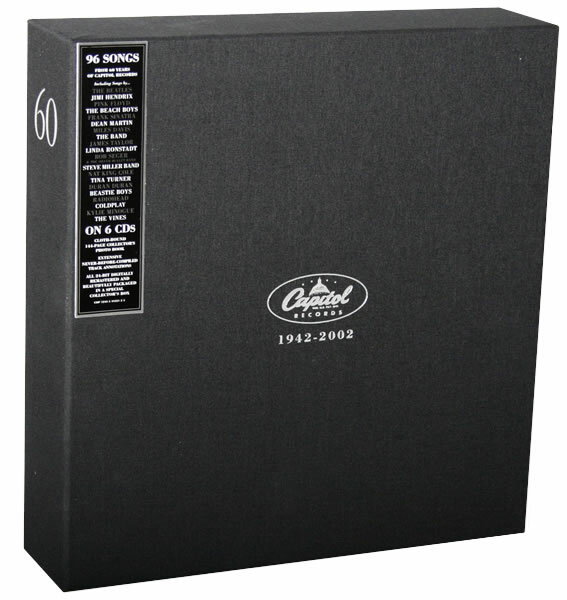 To celebrate 60 years in business, Capitol Records has released an ambitious, six-CD boxed set, with each disc containing 16 tunes from one particular decade, spanning the ’40s to the ’90s. Not surprisingly, some of my fave pop and rock tunes of all time are included on Capitol Records 60th Anniversary 1942-2002. Since Capitol’s biggest claim to fame is being the Beatles’ old record company, the Fab Four is represented with “A Hard Day’s Night” and “Hey Jude”. And when the Beatles broke up, they continued their solo careers on Capitol, so the label is able to include John’s “Imagine”, Paul’s “Band on the Run”, Ringo’s “It Don’t Come Easy”, and George’s “My Sweet Lord”. Non-Beatle highlights that made me happy to score this beautifully designed boxed set for the special reviewer’s price of no money include the Beach Boys’ “Wouldn’t It Be Nice”, the Outsiders’ “Time Won’t Let Me”, Badfinger’s “Day After Day”, Jimi Hendrix’s “Machine Gun”, Pink Floyd’s “Time”, Grand Funk Railroad’s “We’re an American Band”, Crowded House’s “Don’t Dream It’s Over”, the Tubes’ “She’s a Beauty”, and the Vines’ “Get Free”. On the downside, though, there are also tunes by Poison, Robbie Williams, Kylie Minogue, and the ever-popular (except with me) Garth Brooks. First off the mark is “My Sharona”, the 1979 power-pop hit by the Knack, which, while kinda catchy, didn’t bode well for the coming decade. Things pick up considerably with the Foo Fighters’ whimsical, two-minute ditty, “Big Me”, off the Seattle guitar rockers’ 1995 debut. Then the shuffle takes me back to 1958 and the extremely cool, oft-covered “Fever”, performed by Peggy Lee, with that nifty finger-snapping intro. Whatever happened to finger-snapping intros, I’d like to know? Things get even older and better with a selection from the ’40s disc, the Pied Pipers’ version of Johnny Mercer’s “Dream”, which hit number one on the Billboard pop chart in 1945. Beautiful clarinet solo! Did I just say that? 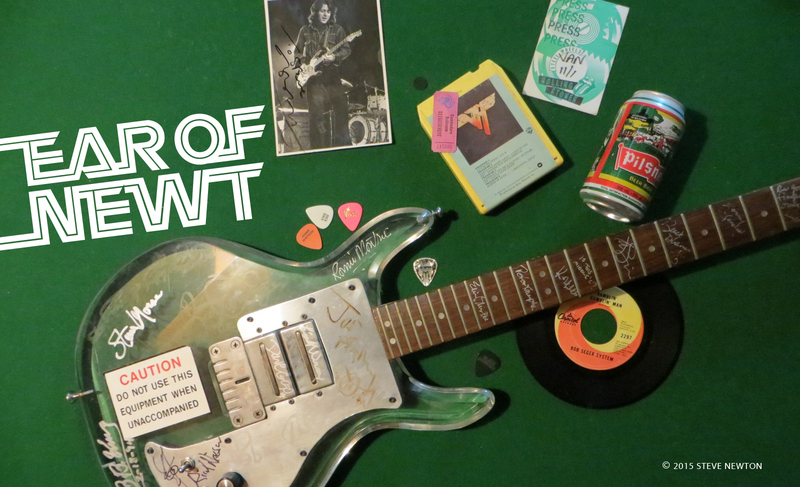 It appears as though this stylistically far-reaching collection is capable of turning even die-hard guitar-rock freaks into aficionados of elegant ’40s music. Uh-oh. Next up is M. C. Hammer’s 1990 dance hit, “U Can’t Touch This”. Can a die-hard guitar-rock freak actually come to appreciate this type of synthetic-sounding gunk? Anything’s possible, I suppose. It’s got a pretty damn bouncy bass riff. My noggin’s noddin’ a bit. You can shoot me now.